Silver Award Winner - Mumii Best Baby and Toddler Gear, Parenting Books. What is the value of our achievements without self esteem? Dr Holan Liang presents her practical approach to bringing up children from the inside out, setting aside exterior results in favour of building a core of self-esteem, resilience and social ability. Inside Out Parenting is a witty blend of hard science from a research and professional point of view, memoir and hands-on anecdotal evidence, offering an assured route to both happiness and success. 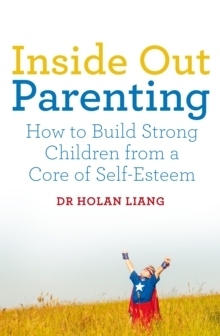 With a balance of top tips and failed attempts, Child and Adolescent Psychiatrist Holan Liang offers an empowering and holistic approach to parenting that champions building a strong base of 'inside things' so that the 'outside things', such as achievement in musical exams and academia, have a strong foundation and core of security, giving them a deeper meaning for your child.